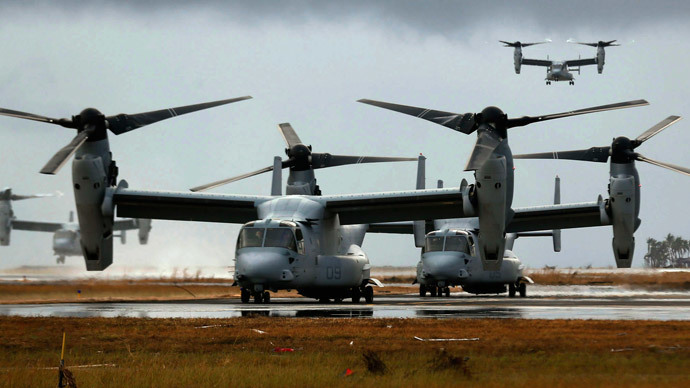 Among the purchases to be covered by the new deal are supplies of the V-22 Osprey tilt-rotor aircraft, which the US has refused to export to any other country, as well as up to 75 fifth-generation F-35 joint strike fighters, whenever they overcome their teething troubles. 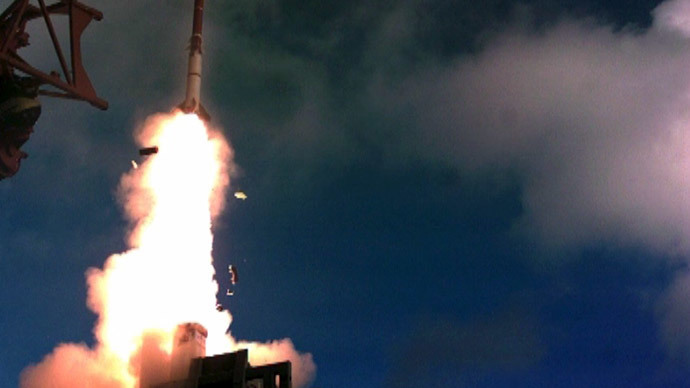 The US also provides technology, parts and rockets for Israel’s missile defense systems such as the Iron Dome and Arrow 3. Up to 25 percent of Israel’s defense budget is already being funded by Washington under the current agreement, with the figure likely to grow. Israel is already one of the top three recipients of US military aid, vying for the top spot with countries locked in open warfare, like Afghanistan and Iraq. “Israel has always fought its own battles and has never asked American troops to fight on its behalf. 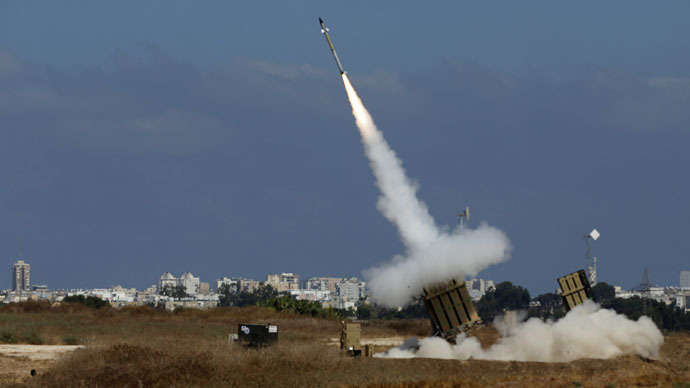 Instead, it has requested US assistance to supplement the tremendous resources Israel already invests in its defense budget,” Howard Kohr of pro-Israel lobbying group AIPAC told the House Appropriations Committee last month. Kohr also accused the Gulf States, many of which are also US allies and clients, of ramping up the arms race in the region, and said that Israel may have to spend $160 billion on its defense budget in the period covered by the next funding agreement. The US is currently legally committed to maintaining Qualitative Military Edge, a doctrine that ensures Israel’s superiority over its neighbors, purportedly in the name of maintaining stability in the volatile region. The X-factor remains Iran, which is in the process of concluding a deal with the world’s leading powers that will allow it to continue its nuclear program, in exchange for greater openness and assurances it does not plan to acquire nuclear missiles. 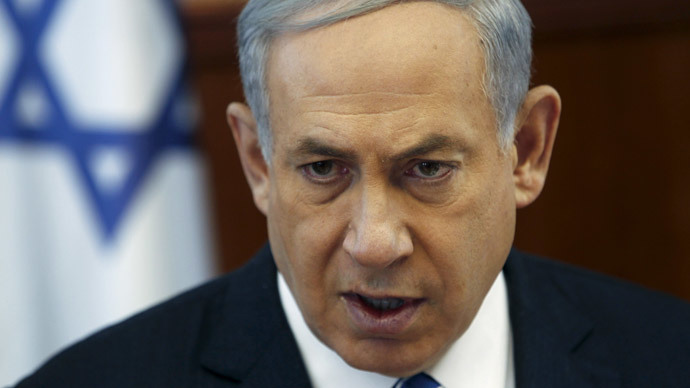 Israel, which is suspected to maintain its own undeclared nuclear arsenal, has consistently disbelieved Tehran’s assurances. “I see no reason to rush to a deal and certainly not a bad deal that paves Iran's path to the bomb, but also fills Iran's coffers with tens of billions of dollars to pursue its aggression throughout the Middle East and around Israel's borders,” recently re-elected prime minister Benjamin Netanyahu told a US Senator on Tuesday. Senior Israeli official Amos Gilad, who is negotiating the new deal with Washington, said last weeks that any aid increases “are not vis-a-vis the coming agreement” with Iran, but that it remains a factor in Israel’s future spending. In fact, Jerusalem officials have said that any increase in belligerence from Iran, as well as provisions for the creation of an independent Palestinian state, will entail separate, additional demands for military support from the Pentagon.